One of the latest buzzwords in wellness is the compression of morbidity. Until recently, folks over 60 could expect to deal with a seemingly ever-growing list of chronic conditions, like diabetes, heart disease, and so on, for the last ten or fifteen years of their lives, if not more. Increasingly, that is no longer the case, as people are both living longer and enjoying a higher quality of life, even in their later years. But to take full advantage of this phenomenon, physical exercise is an absolute must. And regardless of how we feel, our bodies are physically much different in their 60s than they were in their 20s. We see injury recovery play out all the time on the baseball field. Whereas younger players almost always recover fully from major injuries and major surgery, among older players, full recovery is a little more hit or miss. In this context, an ounce of prevention really is worth a pound of cure, and the best way to recover from injuries is to avoid them in the first place, if at all possible. Warm up before your workout. When your face feels slightly flushed, your breathing is a little bit labored, and your heart rate is somewhat elevated, you are probably warmed up. For most people, about ten minutes of light cardio, such as easy jogging or a workout machine on low setting, usually does the trick. Also, cool down after your exercise routine is over. About ten minutes of walking or other very light exercise will normally lower your heart rate, cool your face, and let you catch your breath. As we age, our bodies take a little longer to reach peak performance level and then go back to a normal operating rate. One noted exercise physiologist and Olympic trainer said that warm-up and cool down is like a bridge to exercise. Stretching is also important for older exercisers. While this activity is essentially optional for younger people, blood flow slows with age, so a failure to stretch greatly increases the risk of muscle tears and strains. And as mentioned earlier, while a shin support or another similar wrap often takes care of shin splints and other low-grade injuries, more serious injuries, like an ACL tear, are almost impossible to overcome. Cardio workouts, like running and swimming, get most of the attention in the upper age brackets, because that’s where most of the benefits lie. That being said, it would be a mistake to completely neglect strength exercises. Our bodies lose up to 40 percent of their muscle mass as we age, making it harder to fight off diseases and maintain an active schedule. Strength exercises usually require a personal trainer or other professional, at least at the start, since an incorrect regimen can be quite dangerous. Many local gyms offer an hour or two with a trainer at little or no cost, so take advantage of these opportunities. Although the “no pain no gain” mantra is not very good advice, there is a kernel of truth in this debunked saying, because muscles only grow through resistance. Your trainer can give you ways to gradually ramp up a weightlifting routine in order to maximize benefits. 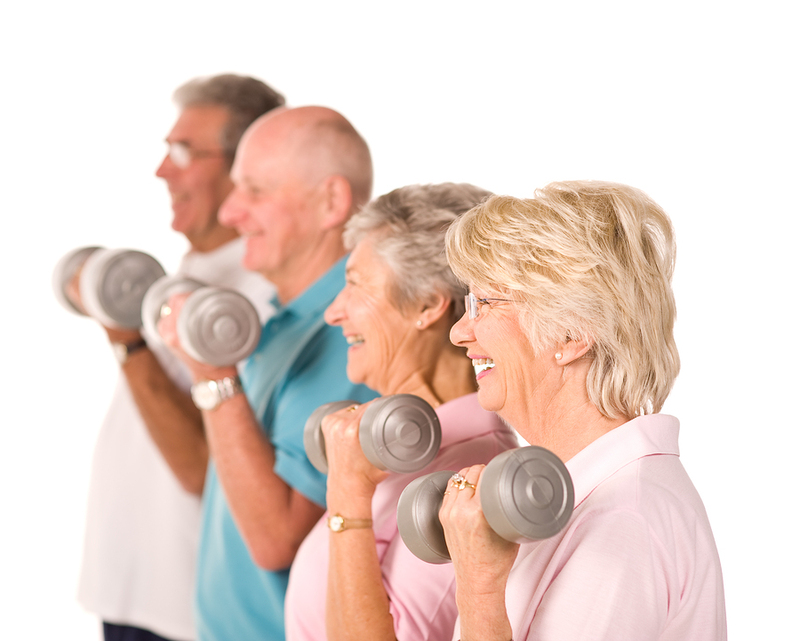 Exercise over 60 is not exactly a Fountain of Youth, but it is close. And the cool thing about exercise is that it’s never too late to start.